You are here because you enrolled at http://teaching.yfolajimi.com for extra training support through Personalized Open Python (POP) Resources (R). 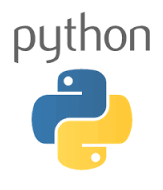 Here, you will have access to extra resources, including online and offline notes, apps and games for learning Python. It is hoped that you will make the best use of this opportunity to optimize your learning and Python programming experience. If you have not received an invitation to join, you may click on the link above to join the POP-R Slack group, and return to this website to continue learning. I will be sharing relevant documents, exercises and other resources with you via via this webpage and Slack. Note that the best way to contact me or ask me questions is via Slack, as I am not likely to respond to any email from you. Please note that for UI students, it is not compulsory to use these resources to support yourself in CSC 101. Neither is it compulsory to fill the survey forms, as they don't count for any credit. Therefore, whether or not you are part of POP-R Class is totally up to you.